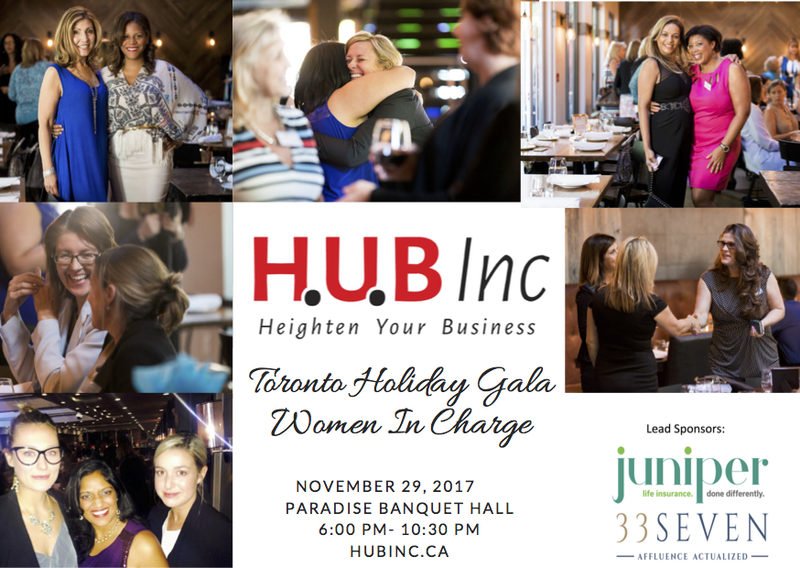 It’s all about Women In Charge at this year’s H.U.B Inc Toronto Holiday Power Gala. Meet 3 dynamic, driven women who have risen to the top of their respective industries. Get ready for a fun, informative, interactive night with these game-changing professionals. It will be a night to remember: a VIP private room, 4-course gourmet meal, fine wines, and a H.U.B Inc signature cocktail – all included when you register for this extraordinary event. Also, the H.U.B Inc Toronto surprise that evening – get ready!! Co-Owner / Mortgage Broker at Dominion Lending Centres Home Capital Solutions Inc.
Sarah’s career in the financial sector started on Bay Street. She credits her success to hard work and dedication to her clients. Prior to the merger, Sarah had more than 50 agents in her own brokerage and consistently appears on the CMP Top 75 Brokers list, thanks to her own strong book of business. Sarah has been featured in the “Women of Influence” editions of CMP magazine for the last few years and enjoys sharing her knowledge through speaking engagements in the Toronto area. Expanding the business to include banking services through CFF Bank and offering GIC’S, RSP’S, unsecured lines of credit as well as regular banking services such as chequing and savings accounts, also providing insurance products and working with financial planners to round out our financial service expertise. Now with close to 100 agents and growing the brokerage is one of Dominion Lending Centres (nationwide) top 10 brokerage houses in Canada. With strong relationships lenders and banks, Sarah helps her clients achieve financial success through real-estate with first, second, commercial and private mortgages, business loans and debt consolidation. Debbie Fung is the co-founder of Yoga Tree Studios, Toronto’s premier yoga studio offering over 2,000 yoga classes a month. Since 2007, Yoga Tree has grown from being one studio located in Thornhill, Ont. to five locations across the Greater Toronto Area, including studios in Richmond Hill, Vaughan, Midtown and Downtown Toronto. Debbie is the recipient of 2016’s Canada's Next Top Entrepreneur Award presented by KPMG & Ivey School of Business and is a multiple-time award recipient for PROFIT’s W100 ranking of Canada’s Top Female Entrepreneurs. She has been active in the Toronto community promoting startups, female entrepreneurship and has been a guest speaker at Ivey School of Business, University of Waterloo and City of Toronto Small Business Forum. Debbie's growth journey is also featured in Stacey Kravetz's newest book She’s So Boss, and her studio has been listed on the PROFIT 500 for the second time in 2017. 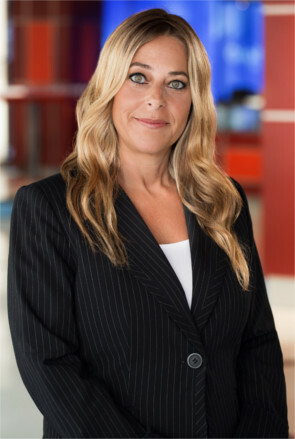 Lisa Godfrey has 25 years experience in the television industry both in production and broadcasting. As VP of Original Content at Corus Entertainment, Lisa oversees Original Content development and production across all genres – Drama, Kids, Lifestyle and Factual Content for Global, HGTV Canada, FOOD Network Canada, W Network, Slice, History Network, YTV, Teletoon and Treehouse. Lisa’s spent several years working in the United States producing Universal Television’s Sally Jesse Raphael, Paramount Pictures’ The Montel Williams Show and was development producer for Telepictures and Pearson Television. In 2001 Lisa transitioned to broadcasting, joining Specialty broadcaster Alliance Atlantis as Director of Original Content for a number of their specialty channels including HGTV Canada, Food Network Canada, Slice, History Television, and National Geographic Channel. In 2010 her focus shifted when she took on the role of Director of Programming and Scheduling at Shaw Media, developing programming and scheduling strategies for some of the country’s biggest specialty services. Julie is a recovered lawyer, mom of six and Co-founder of Mabel’s Labels. Mabel’s Labels has grown from basement start-up into an award winning, celebrity endorsed and international marketplace leader. As company spokesperson, Julie is well-known amongst North American businesses and entrepreneurs. Julie is no stranger to the media, having appeared on NBC’s The Today Show, HLN’s Raising America, Canada AM, Breakfast Television, The Marilyn Denis Show, among many others. Julie is a syndicated blogger for The Huffington Post, modernmom.com, PTPA Media, Yummy Mummy Club, and her company’s Mabelhood blog. Her writing has also appeared in The Globe and Mail, Profit Magazine, Chicken Soup For the Soul - Power Moms and numerous websites. Mabel’s Labels has been featured everywhere from The View to Forbes.com.